The history of the ‘Hatto Hoax' is brief and dramatic. 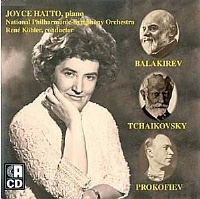 Joyce Hatto (1928-2006) was a respected pianist, who gave up performing in 1970 because of illness. But her career has had a second life through recordings she made, largely at home. These were issued on her husband's old-established ‘Concert Artists' label, mostly appearing since 2003. It is now alleged that some or all of these recordings are simply fakes; copies of discs by other artists, in some cases (of technically difficult music) speeded up. Hatto's ‘artistry' attracted glowing reviews and accolades, not least from such unimpeachable sources as Bryce Morrison and Ates Orga. By the end of last year, her recordings had attracted something of a cult following; many now heard of her for the first time. But through two completely independent sources the alleged deception has come to light very swiftly by means of modern computer technology. First, a couple of Hatto CDs, when put into players or computers that display the text information on the disc, as with iTunes, stated they were not by Hatto, but were known and catalogued recordings by other artists. Investigation using standard digital editing software (for example by analysing the wave-forms displayed on the screen) confirmed that indeed, the Hattos and those other recordings were identical. Second, a research project based at Royal Holloway College, also involving staff from King's London and Sheffield University, was analysing every recording of Chopin's Mazurkas ever made. That research involved producing representations of the tempo and dynamics in different versions of the same piece, and it also uncovered, by coincidence and more or less at the same moment, that the Hatto version was identical to another, with the order of some pieces changed around. What is a faithful recording? All aspects of this are much discussed. What does live mean – does it include, for example, as it usually does, patches from rehearsals or after the concert, or a splicing together of several performances? Is there any limit on how much editing is desirable, or credible, or permitted? What about enhancing the acoustic (again, invariably allowed these days)? After all, these days, actors don't need to learn how to cry from drama school. The tears and expressions can be edited in later by the special effects team. Airbrushing, digital slimming and nose reduction are available for anyone with a computer. But of course we all agree that passing off someone else's recording as your own is not on; like cheating in an exam, or gaining an Olympic and world 100m record through steroid use as did Ben Johnson. Assuming that the prima facie case is correct, it does not, at first blush, reflect well on critics that they were completely fooled. Even the most eminent have been taken in. What does this say about how much listeners judge the book by the cover, the recording (or the concert) by the reputation of the artist? How did critics miss the implausibility (which sometimes they even alluded to) of recording schedules that stated the Hammerklavier and Chopin B minor sonatas were both together recorded in a single day, or the Op 10 etudes in part of a day devoted to Chopin-Godowsky? How did they not consider that it was extremely unlikely that a pianist who had as a young woman been good, but far from superhuman, could suddenly, as an older invalid, play with such staggering technique? How could they not tell that many different pianists had made these recordings, not tell one pianist from another if they had already listened to some of these CDs with different covers? It is hard to believe that could have happened with a singer? Critics are no doubt removed from the realities of making recordings, and Hatto could never be heard live to compare with recordings. But, above all, critics and listeners wanted to believe in this uplifting myth, in the ‘indomitable' power of the human spirit to overcome all through art. They were caught up in the romance of the story, and the idea of resurrecting the career of an under-appreciated artist. In defence of critics, we may argue that if one does not suspect the possibility of fraud, one is easily deceived. Of course virtuoso music that has been artificially speeded up sounds incredibly impressive. These recordings were billed as having been made “at home”; they could be authentically ‘blurred' and further disguised. Most of the ‘originals' identified (though not all) so far have not been well-known discs. Moreover, the idea of the deceived expert is common; that does not make the idea of expertise incoherent. Hugh Trevor-Roper believed in the Hitler Diaries; a mistake, but that does not invalidate all his work as an historian. Many fakes in fine art (where unimaginably more money is at stake than in classical music) have posed as originals for many years. Some famous pictures remain heavily disputed. Aesthetics implies judgment. Judgment implies error as well as truth. The human side of this story, no doubt now the subject of investigative journalism, will surely prove fascinating. The story has been extensively reported in the mainstream (i.e. not just musical) news media, and now died down, leaving us not much the wiser as to matters of real psychological interest. 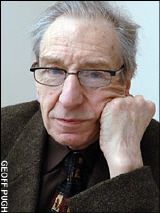 Indeed, the most generous speculation comes from Robert Bahr, head of BIS (whose copied Liszt Transcendental Etudes sparked off the story) – if Hatto's husband (says Bahr, pictured Geoff Pugh) did it from love, BIS would not be inclined to press charges. I have myself a fiery recording of Schumann's Piano Concerto where the pianist is listed as ‘Martha Bergerich.' Hatto's husband, William Barrington-Coupe (photo from The Telegraph) made many pseudonymous LP issues, once memorably calling a conductor ‘Maestro Havaguess', I ask you! Nothing is implied as to their legality or otherwise; it is known however, that Barrington-Coupe served time in prison for business fraud unrelated to music. He (and someone who at least signed herself Joyce Hatto, though always through a printed scan of a handwritten signature) corresponded extensively with those who bought or reviewed the ‘Hatto' discs. These letters and e-mails invariably expressed not only great appreciation of the listener's interest, but also offered plenty of anecdotes about the deceased great and good of the musical past (it's all stuff like “Annie Fischer said this to me” etc etc). These anecdotes would have captivated their intended audience, perhaps been quoted in articles and greatly added to the aura of authenticity and mystique around Hatto. What else do we now know? The weight of evidence has massively increased, with hourly attributions of the allegedly faked recordings. We know that the Gracenote/iTunes database that first precipitated the exposure is far from foolproof; on the other hand the Royal Holloway analysis group had probably arrived at its result about the Hatto Chopin Mazurkas some time ago, but waited until the story broke before making public conclusions with such inflammatory legal and moral implications. So, could discs be reviewed completely blind – on the analogy of the orchestral auditions discussed in my article on judgment and intuition? No, although it would be easy to copy every disc onto a blank CD-R before giving it out for review. But the extra work (and extra person) involved and the need to secure the agreement of the record companies means the procedure would be impracticable. Besides, many discs are posted direct to reviewers with a record company address label; any new release appears in press material before it is available physically, so its identity can be easily guessed even from a blank. If nothing else, ‘Hattogate' reminds us that music criticism is a fragile form of perception and writing. 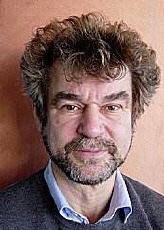 His admission (which leaves many unanswered questions) comes as a letter written by Barrington-Coupe to Robert von Bahr, the head of BIS [pictured], who had already come up with a possible human explanation for the hoax, sympathetically representing it as a possible effect of Barrington-Coupe's love of his wife. When Barrington-Coupe writes that the initial impetus to fake was no more than to cover his wife's 'grunts of pain' when trying to re-record the repertoire, this is transparently a stupid play for sympathy. It may be that record companies (and indeed, deluded fans) will think there is no profit in pursuing this. But there is no doubt that many innocent members of the public will have been swindled. Over 8000 records sold at 12 pounds each (to take the last two years alone) is one hundred thousand pounds; an amount not to be sniffed at. But, as von Bahr also said, Barrington-Coupe has already had plenty of time to hide the money. - - the whole thing shows just how much critics are influenced by extramusical considerations. (Of course, most performers realise very quickly that the audience, in part, hear what they see.) A.S.